A NURTURING FORMULA: At its core a potent moisturizer using organic plant based ingredients that feed the skin, and no parabens, fragrance, animal products or animal testing. Made in the USA. BENZOYL PEROXIDE IS SAFE AND EFFECTIVE: It works by increasing skin turnover and clearing pores. The plant based non-comedogenic oils help it penetrate deeper into the skin, making it more effective and less drying than water based Benzoyl Peroxide formulas. We’ve also used a form of Benzyol Peroxide less likely to bleach fabric. TEA TREE OIL WORKS AS AN ANTI-BACTERIAL: Organic Tea Tree Oil is both anti-bacterial and anti-inflammatory, adding to the formulas efficacy without compromising its gentleness. 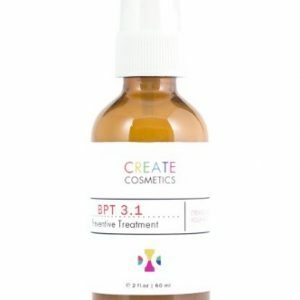 Create Cosmetics BPT3.1 is a moisturizer that helps prevent and eliminate acne outbreaks. We designed its lightweight oil-in-water formula to absorb quickly into the skin leaving no residue, whilst its natural non-comedogenic oils aid absorption of the active ingredients and prevents the skin from drying out. 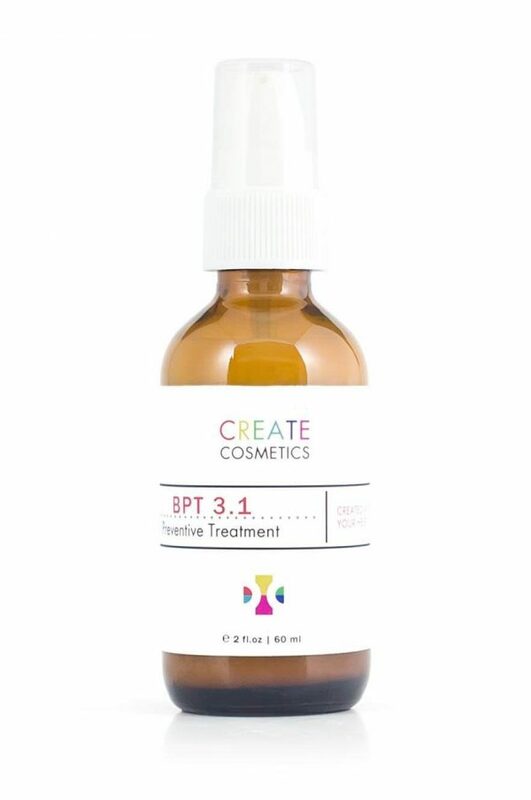 We included tea tree oil for its anti-inflammatory, acne fighting effect and Benzoyl Peroxide for its proven track record at effectively and safely combatting acne. The final product is a nourishing and moisturizing formula that’s still very effective, using a small number of potent ingredients. KEY INGREDIENTS: Macadamia Oil: Skin softening, Vitamin B and E rich. Shea Butter: Anti-inflammatory, Vitamin A and E rich. Jojoba Oil: Anti-bacterial, non-comedogenic moisturizer. Witch Hazel: Anti-inflammatory, soothing and astringent effects. WORKS OR YOUR MONEY BACK: We back all our products with a 1 year hassle-free money back guarantee – if you’re not happy for any reason, contact us and we will issue a refund.